May is Gluten-Free Awareness Month. Did you know that? October used to be Celiac Awareness Month, but that was changed because no one wanted to compete with Breast Cancer Awareness Month, and the folks who don't have celiac but still can't eat gluten deserved to be included as well. Except, that's still not official. Canada switched the awareness month to May. Unofficially, the US has not made the switch, but there is a House Resolution asking for May to be Celiac Awareness Month soon. And every single PR agency that sends me press releases seems to have something about gluten-free right now, so the media world has made the switch. Whew. Why is this so complicated? Really, every month should be gluten-free awareness month. Do you know that the number of people in this country who have celiac is probably something like 1 out of 100? And that fewer than 5% of us have been officially diagnosed? If you think there has been a big surge in gluten-free foods on the market in the last five years, imagine what it will be like when every single person with celiac sprue finally knows her (or his) story. When people with gluten intolerance or sensitivity or any of the many reasons why people's bodies do not tolerate gluten finally know what ails them, there will be no limit to the energy those people have, and the good they can do in the world with that energy. So yeah. It doesn't really matter what month it is. It's always gluten-free awareness month around here. This weekend is the Go Gluten-Free Challenge, sponsored by the good folks at GIG and Pamela's Products, two organizations we love. They are challenging everyone — particularly those of you reading who do not have to be gluten-free — to live gluten-free, entirely, for one weekend. Those of you who have friends or family members who have to live gluten-free? Do this for them. It will help you understand the particular challenges of the people you love. There's a blog for following along and a Facebook page. I have said it before, and I continue to be amazed by this — if you're going to have any kind of disease or autoimmune disorder, be grateful for the one that heals with great food. In honor of Gluten-Free Awareness Month in May (even if the House of Representatives hasn't sanctioned it yet), we cooked out of a big pile of gluten-free cookbooks the past couple of weeks. Today, we'd like to share with you the books we liked best. For those of you who are relatively new to gluten-free cooking and baking, we'd like to recommend Vanessa Maltin's The Gloriously Gluten-Free Cookbook: Spicing Up Life with Italian, Asian, and Mexican Recipes . Vanessa was once the director of programming and communication at the National Foundation for Celiac Awareness, so she knows something about spreading the word about gluten-free living. Now, she is the food and lifestyle editor of Delight magazine, so she's working hard to help people eat well. The book has some really strong, dependable recipes for dishes that are naturally gluten-free and dishes that require flours. Maltin was smart — she enlisted the help of chefs who specialize in each of the cuisines she highlights in the book. Chef Keith Brunell of Maggiano's of Little Italy, Katie Chin of Thai Kitchen, and Edgar Steele of Café Atlantico are given credit for the bulk of the recipes in the book. (My only complaint about this is that the last section of the book is called Mexican dishes when Steele comes from a pan-Latin background. 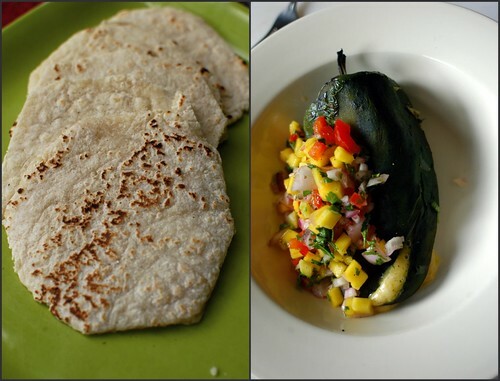 It would be great to emphasize how all of Latin American cuisine has something to offer those of us who have to live gluten-free.) These chefs clearly know how to make food. Danny and I made the gnocchi recipe one evening and were both impressed. The texture was pliable and bite-able with a light touch that was unexpected from looking at the recipe. Making the gnocchi was no more arduous than traditional gnocchi. (Have you made gnocchi before? If not, you really should. I'm starting to prefer it to pasta these days.) I did find that my batch needed more liquid than the recipe called for, but that was easy to fix. The original recipe called for a vodka sauce, but for the lunch Lu and I shared the next day, I fried up some sage leaves in a little butter. Lu ate them all, talking away the whole time. We also made the empanadas, which you see on the right. I liked the idea of putting cheese and onion right into the dough, along with using masa flour. The texture of the final empanada dough was a bit coarse for my taste. As Maltin writes, "Most restaurants use a pie crust or pastry dough to make their empanadas." Since we make pie and puff pastry gluten-free now, I'd probably use one of those next time. But I'll keep the idea of cheese and onions in the crust. The spicing on the ground-beef filling for the empanadas was a touch bland for my taste. That's why this might be a good book for people who are just beginning to cook and starting to feel adventurous. Once you have made all the risotto recipes in the book, you should be feeling ready to branch out on your own and spice it up more. My only regret is that I didn't have the time to make the stromboli recipe in the book. That sounded good. I have to be honest. I did not expect to like The Gluten-Free Good Health Cookbook: The Delicious Way to Strengthen Your Immune System and Neutralize Inflammation. It is such a plain-looking book, with no photographs or illustrations. And the words "...neutralize inflammation" don't generally suggest meals worth remembering. It looks like a health book. One of the authors, Claudia Pillow, has a PhD in Health Studies, after all. I flipped through it and almost gave it a miss. However, the other author of the book is Annalise Roberts, whose wonderful first book, Gluten-Free Baking Classics , is still a bible for many gluten-free bakers. She has great taste and a sense of what works for gluten-free cooks, so I took a second look at the book. We're glad we did. The recipes in this book are fantastic. Up there, on the left, is my favorite new meal of the moment. It's a a puttanesca sauce — with capers, kalamata olives, good olive oil, and diced tomatoes — with kale simmered in it. The sound of it intrigued me. The taste of it blew my mouth open. It has a tomato intensity of a summer dish, with all those briny tastes I love, plus tender wonderful kale. We had a huge bag of kale in our refrigerator. What to do with it, besides make kale chips again? Make this dish. I made it three times in one week. In fact, when Danny came home from work one night I had this ready for him on top of brown rice. It wasn't until he was done eating, delighted, that he realized we'd had a meatless Monday. You don't miss it. The chicken and white bean chili up there was pretty great too. The recipe was simple to follow and came together in about 15 minutes. (Believe me, now that I have an active toddler, I know how important that can be sometimes.) What I like about the recipes in this book is that they are filled with good ingredients like garlic and jalapeno peppers, and some unexpected ones, like tomatillos. We opened the giant jar of roasted tomatillos we had left over from last summer's canning party and enjoyed this chili immensely while we watched Top Chef Masters. It was even better for the next day's lunch. I'll be honest. The first 1/4 of the book still didn't do much for me. It's full of information that might be useful to some of you, information about how many calories should come from each food group at every meal, and a chart about alkaline and acid-producing foods, and suggestions for drinking warm water and lemon juice at the beginning of every day. I really like my coffee, and I'm a little wary about anyone having "the" way to health. I'm not so fond of this kind of information in my cookbooks, but you might be. However, I can't wait to make the roasted poblano-asiago soup soon. If you are gluten-free, you must have heard about Elana Amsterdam's book The Gluten-Free Almond Flour Cookbook . Elana has done a wonderful job of promoting her book, a book that is clearly a work of love. I was lucky enough to meet Elana at FoodBlogHer back in September, so I have to say that I consider Elana a blogger friend, a fellow gluten-free compatriot. She's lovely. Her book has helped so many people that we wanted to showcase it here. In case you don't know this yet, Elana uses only almond flour in her book. The good folks who make blanched almond flour should be sending her thank you cards every day, because I'm sure she has driven up the consumption of almond flour singlehandedly in the past year. She talks a great deal about the nutritional value of almond flour versus other flours and why she uses it. Almond flour is very low in carbohydrates, which makes it good for those trying to avoid too many carbs. People on the Specific Carbohydrate Diet love Elana's book, for example. I had never really used almond flour before I encountered Elana's blog. I'm grateful to her for bringing it to me. I love the protein and fat almond flour can add to baked goods. Sometimes I use it in pie crusts, in rhubarb streusel muffins, in chocolate chip cookies, and for making meatballs and meatloaf. And these days, I don't ever make bread without using almond flour. It's magic for bread. Here's the thing: I don't really love almond flour as a stand-alone flour. I know why Elana has created an entire cookbook using only almond flour. As she wrote, "The recipes in this book are simple and easy — some contain six ingredients or less, and can be prepared in well under an hour." I know that is immensely appealing to many of us. I know that sometimes, when you read this site, you might feel overwhelmed with the superfine brown rice flour and four others, the xanthan gum, the different techniques. It makes sense to me that Elana would create baked goods with so few ingredients. However, I have to say that I prefer baked goods with a combination of flours and some gums. I've made some of the baked goods in this book, and while they are good, the ones we make taste better in our kitchen. They feel lighter, with more of the mouthfeel of familiar gluten goods. It's a personal judgment. All cookbooks are personal, in the end. There isn't a single cookbook I have ever held in my hands that pleased in every single recipe. You might like Elana's chocolate chip cookies better than ours. That's cool. I will tell you, however, that many of the recipes in this book pleased us enormously. Danny and I made Elana's turkey burgers, a play on the Mar-a-Lago burger popularized by Oprah, made with Granny Smith apples, scallions, lemon zest, Dijon mustard, and almond flour as the binder. They were wonderful. Danny doesn't like turkey burgers. Give him beef or pork every time. This one, however, he ate happily. And did so again the next day. However, nothing we made these past two weeks made him as happy as the eggplant parmesan from Elana's book. 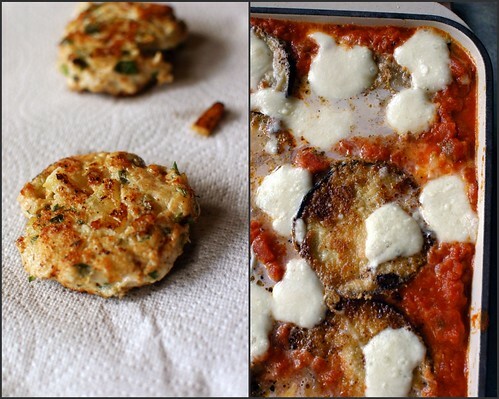 I never would have thought to dredge the eggplant slices in almond flour, but I will from now on. The almond flour gave the eggplant a crisp crust and savory taste. We ate this for days, licking our fingers, and it only improved with each night in the refrigerator. This book is worth the price for these two recipes alone. yes. Pleasure and spiced bites and surprises with every mouthful. The recipes in this book are wonderful. Now again, I have to tell you that Danny and I know Ali Segersten and Tom Matlerre, a bit. We met them both at a gluten-free conference in Bellingham before Lu was born, and we admired them both. Tom is a talented nutritionist, with a Master's from Bastyr here in Seattle, and he knows his stuff. I love his passion and intensity, his desire to help everyone eat well. Ali, the soft-spoken of the two, was once a personal chef before their children arrived. She has a wonderful food sensibility, emphasizing healthy and delicious both. These two are so healthy that they glow. I'm serious. You know how some people seem to exude health through their pink cheeks? That's Ali and Tom. Compassionate and genuine, these two are wonderful people. If they lived on the island, we'd be having them over for dinner all the time. However, wonderful people don't necessarily create great cookbooks. In this case, these two have. They have recipes for lentil and brown rice casserole, sunflower burgers, and tempeh fajitas, so the book has a definite vegetarian bent. But we were intrigued by the fall stew with Moroccan spices, the smashed yam and black bean quesadillas, and the coconut lime chicken with almond dipping sauce. It's clear that Ali and Tom love food. Danny and I have been talking about this a lot lately. We both feel that healthy food comes from celebrating. A celebration of the fact that asparagus from nearby is in season so we eat it every day this month, and sometimes every meal. A celebration of the fact that we can afford fresh food from the farmstand and our weekly small farmers' market. A celebration of tastes and unexpected spices and the joy of sitting down at the table with our daughter. "This is a nice, healthy book," Danny just said about The Whole Life Nutrition Cookbook. We made the zucchini and potato hash for breakfast and loved it. Danny's happy with any dish that involves potatoes, after all. It was simple and tasty, with the addition of kale, which we would not have thought to add. When we have zucchini in our garden this summer, we'll probably be making this again and again. Danny was particularly taken by the Rice Noodles and Red Cabbage with a Spicy Cashew Sauce. Honestly, I think he expected this to be crunchy-hippy-tofu cookbook, so he cooked it reluctantly. His face softened when he took his first bite. The flavors were bright and spiced well, the cabbage was crisp against the plush texture of the noodles, and the whole dish tasted like a clear afternoon with nothing to do. We've been using the sauce on millet and rice and other dishes all week as well. Ali and Tom worked hard in this book to create dairy-free and egg-free options for the recipes as well, which many of you will be happy to know. They have a 28-day elimination diet plan, a schedule for introducing solid foods to babies, and suggestions for how to stock your pantry well. There's a lot of advice and information here, and it's offered gently, without a didactic tone. Seriously, if you want to glow like these folks, you'd do well to buy this book. Finally the book I probably love the best is the one I bought first. Karen Robertson's book, Cooking Gluten-Free, is a marvelous cookbook. It's filled with sophisticated recipes like Mustard-Crusted Black Cod with White Asparagus, Black Trumpet Mushrooms, Leek-Potato Puree, and a Seville Orange Vinaigrette. It sounds like Danny food. In fact, I bought this cookbook about 5 years ago to the day, within a month of first being diagnosed. Flipping through this book made me feel hopeful. With the judicious inclusion of chef-created recipes, this book made me feel like I could perhaps eat in a restaurant again, after all. (Of course, I married a chef.) I dreamed of Roasted Asparagus Quesadillas with Cactus Salsa, and Tomato Bread Salad, and Cranberry Soufflé. I made her Jerk Chicken with Cilantro Mango Salsa and posted it on this site back in 2005. (That was back when I still copied down recipes from other people and published them. I stopped doing that shortly after, thank goodness.) Someone wrote to me just last week, saying she had found that post and made the chicken and loved what I created. I didn't create that. That was Karen Robertson. Karen self-published Cooking Gluten-Free back in 2002, long before this current spate of gluten-free cookbooks flooded the market. She was a pioneer. And now, five years later, going back to her book, I realize she always had it right. Her all-purpose flour mix, adapted from one by Wendy Wark, is close to the one Danny and I have been working up in our kitchen. It has taken me five years of working and thinking and understanding the flours before I could come up with an AP mix. (We'll be sharing it with you soon.) But Karen had a great one in her book all along. See that photo on the left? Know what it is? Flour tortillas. I had forgotten the recipe was in this book. I mixed up a batch of all-purpose mix, added oil and water, let the dough rest for 10 minutes, and turned on the cast-iron skillet. Flour tortillas. When Danny came home, I gave him one. "Shut up!" he said, mock slapping my arm. "Honey, these are great. They're flour tortillas." They're not mine. They're Karen Robertson's. For lunch yesterday we had chile rellenos with mango salsa. That was a good lunch. Cooking Gluten-Free is filled with interesting, sophisticated recipes, both ones donated by dozens of chefs like Tom Douglas, Charlie Trotter, and Suzanne Goin and Karen's original recipes. Like Danny and me, she believes that there is much more to gluten-free life than baked goods, so the bulk of her book is savory recipes. However, her baked goods are flawless. I'm making her carrot bread tomorrow. Self publishing a lavish hardback book, like the one I bought in 2005, has become expensive. For quite awhile, Karen's book was out of print, which is why many of you have not heard of it before. It's back, however. Karen is publishing the third edition as a CD. You can pop it into the computer and read it on your screen, but you can also print out individual recipes easily. Here is where you can order Karen's digital book online. And if you're gluten-free, or just love food, you should definitely order Karen's book. So you see? If you are just becoming aware of your need to live gluten-free (or your friend or husband or daughter or mother), there are a wide array of options for you here. And, in September, there will be another gluten-free cookbook on the market . We think you might like it too. We're giving away a copy of every one of these books. If you'd like to own one, just tell us why you want a good gluten-free cookbook in your hands. I would love to have a copy of Karen Robertson's book, Cooking Gluten-Free. I was diagnosed with diabetes and celiac disease at the same time 18 months ago. Baked goods are not something I eat a lot of - a gluten-free cook that has lots of other things to offer would be great. I cannot believe that I don't own a single one of these books! There are many gluten free books out there in the market, but very few awesome ones, with reliable tasty recipes. Thanks for sharing some gluten free books that have great dishes to make (and I'll be looking forward to when your's comes out too)! 1. My husband was just told he had celiac disease a week and a half ago, which would be a huge problem if... 2. We live in Turkey, and gluten free here is basically a brand new concept, and any products we can find (if we can) are unbelieveably expensive, so I want to make more things at home, but... 3. There are no gluten free cook books avaliable here in English, or Turkish for that matter... So, I would really love a English, Gluten free cookbook. By the way, I love this blog, I found it a few weeks ago, and read pieces of it everyday. It has really helped me, and my husband feel much more positive about our change to gluten free. Thank you ever so much! I want a gluten free cookbook because I try to do interesting things and delicious food but I keep wishing I could fall back on gluten and I need all the help I can get. A few years ago, my now 90 year old grandfather was diagnosed with celiacs disease. I can't even imagine going your whole life in pain and never knowing what was wrong until you were 87. Suddenly, all the foods he had lived his life eating, he can no longer have. And honestly, at 90, when there are not many years left for him, I wonder how he was suddenly able to make the switch. With my new interest in cooking, I've been trying to make his experiences at family gatherings more enjoyable by making sure I provide at least one dish I know is gluten free. I am constantly browsing the web looking for a new recipe for him, but having a gluten free cookbook for him would be wonderful. Through this I've also been trying to open the rest of the family up to the world of gluten-free. Gluten-free food can be delicious! I have that almond flour cookbook but haven't made anything form it (crazy, I know). Just loved the look of it. I'm not GR but was excited when I saw the local healthfood store had Bob's Red Mill all purpose GF flour on sale for only $2.99. I've used a few times as my first forays into GF baking. Last night, when I needed a bit of flour to thicken a sauce, I thought of you and reached for the GF flour. Worked perfect and I think the mix of fava bean, chickpea flours, etc. enhanced the flavor too. I only learned about Celiac Awareness Month (a whole month!) yesterday, when a bunch of my friends sent me Yelp guide to gluten-free restaurants here in NYC (http://www.yelp.com/weekly?editorial_id=TD5FZ4PlobHM50ZS-aQzcw). It was exciting to learn that my favorite artisanal pizzeria has gluten-free options, but really, I've had no trouble eating gluten-free in restaurants. Places seem very cheerful about accomodating me. Some go above and beyond the call of duty: Danny Meyer's amazing Eleven Madison Park, warned in advance, had gluten-free breads waiting for me and the captain told me what was already safe on the menu, what could be adapted, and what was off limits completely (adaptable: the foie gras terrine with brioche replaced the brioche with a foie gras creme brulee that may actually be the best thing I've ever put in my mouth). But what I came here to say is that asking people to live a weekend gluten-free to see the challenges we face almost seems backwards: I'd like them to see how WELL we live. I eat better now than I used to. I eat more fresh food than I used to. I eat more food I've cooked myself. And the way I feel...? Friends ask me, "Don't you miss pizza? Don't you miss croissants? Don't you miss bagels? Gosh, I don't think I could do it!" Yeah, I miss some of that stuff. But you know what I don't miss? The almost-daily splitting headaches. The chronic fatigue. The depression. The inability to matabolize my food and the 30 pounds I've dropped effortlessly since I gave up gluten. I don't miss that at ALL. And you know what I love? Sleeping well through the night. Feeling full of energy all the time. Being a-burst with positivity and laughter. So, yeah, people should try living a weekend gluten-free. Or a whole week. And they should see how it makes them FEEL. I bet the percentage of diagnosed celiac sufferers would skyrocket, and a lot of people would never go back. I feel like the day I was diagnosed was the luckiest day of my life. I haven't gotten around to getting a gluten free cookbook yet. Your book due out in the fall though is on my birthday list and I can't wait. It would be great to have a cookbook I could pick up and make anything from without thinking about whether it is safe or what subtitutions to make. My kids are also starting to cook more and having a cookbook that is totally safe would make it easier for them to explore and grow in their cooking. Cooking has become a way of life for me since I discovered my intolerance to gluten. Good cookbooks are inspirational for any passionate cook, but especially for those with food allergies who struggle to come up with tasty, creative meals day in and day out. I would love a GF cookbook to keep the inspiration rolling! I am celiac - and I cook a lot - but recently been stuck in a rut. My work has become so crazy busy I haven't had the time to play and experiment in the kitchen like I have been in the past. So I cook variations on a theme. I need to change it up, and a cookbook - especially one that involves flour tortillas! or Gnocchi - would really help me bust out of this rut. Don't forget about people like me who may be gluten-intolerant without celiac disease. I am not really sure because I went GF before getting the test. I was in too much pain. I have officially been diagnosed with Crohn's. The first year was so hard that I never wanted to write about it, here on a site that said "Yes." Now, however, things are looking up. It turned out that I probably had Crohn's for a long time, but it became really bad when I developed gallbladder disease. Of course, the gallbladder disease went undiagnosed because of a bad doctor and the similar symptoms to Crohn's. I switched docs, and they had my gallbladder removed. Now it turns out that my Crohn's is mild. My question is this: Would it be mild if I had not been gluten-free for five years? For people that do NOT have celiac disease but have non-celiac gluten intolerance the medical issues can be devastating. Just imagine if they do not put two and two together and are still on gluten? Oh my. I do not know if I am celiac or not, but I know that gluten causes me all sorts of symptoms. I know that going gluten-free cured many of those symptoms until my gallbladder went bad. I have Crohn's, and I am so grateful that I went gluten free instead of remaining on gluten. Crohn's can be devastating. While my gallbladder was secretly destroying my body it was causing the Crohn's to flare severely. I am okay now. Actually, I am great now. I thank G-d everyday for my gluten-free diet. Unfortunately, there is no test for people with non-celiac gluten-intolerance, but we have people like YOU! If the word gets around how a GF diet can help other auto-immune disorders, then those people can be helped. Hey, if the GF diet does not help them, then they do not have gluten intolerance. However, it is worth a try. I am proof of that, and now I can say "YES!" It's sort of funny - for all the cookbooks I own, I don't have a single gluten-free cookbook. Crazy, right?! I've been gluten-free for 8 years, but really, I'm just interested in good food - not *just* gluten-free stuff, so I don't have a single one of these lovely books. The Whole Life Cookbook definitely sounds like one I want to add to my shelf, since I focus on Whole Food cooking as well. Thanks for sharing these books with us! I've been gluten free for about a year and it's made a huge impact. My mother was just diagnosed with intolerance this week. I'd like one to send to her. The Whole Life would probably work best for her because she has gluten, dairy, egg, and almond intolerance. These books look beautiful. I am always looking for books that celebrate the beauty of all foods gluten-free instead of trying to recreate tasteless gluten-free version of our wheaty favorites. My 2 1/2 year old was diagnosed with celiac at 18 months. While we are thrilled that she was diagnosed so early, the first six months were disappointing food-wise--$7 loaves of bread that she rejected, buying multiple $5 bags of flour to make her bread that she rejected, at least half a dozen rejected pancake recipes, attempts at re-working favorite dinner recipes with disappointing results. You know this--you can't convince a toddler to eat food just because it's good for her--she has to like it. I've made much progress the last six months, in part thanks to a few of your recipes, a cooking class with Jennifer Cinquepalmi and a number of her recipes, and signing up for a local CSA, which has pushed me to find new dinner recipes to deal with large amounts of previously-rarely-used (kale, okra, eggplant, beets, turnips) or totally-new-to-us veggies (kohlrabi? rutabaga? dandelion?!) rather than try to adapt old favorites. Now that I have more confidence in my cooking--and probably every type of flour and gum known to man!--I am slowly becoming more confident and adventurous with my baking. I would love a new gluten free cookbook to help me with that. Thanks for all your website does. ah, four new ones for me! (Have and *love* Elena's book - easy and kid friendly and diabetic friendly - it WINS in this house - have you tried any of her coconut flour recipes off the website? those are getting quiiite good) I feel a need to go shopping now. I would love a gluten free cook book. I have been living GF for a little over a year now, but do not own a GF cook book. So instead I try to find recipes that are naturally GF. It works, but it would be nice to learn how to work w/ the various GF flour options! My favorite right now is the Allergen Free Baker's Handbook because my daughter is allergic to wheat, oats, corn, soy, eggs, milk, peanuts, tree nuts, and sesame seeds. She can't have anything grape derived or melons. She's still nursing so we share a diet. I do love to see ideas from gluten free books though. Every recipe from the book has been awesome (I sub guar gum for xanthan gum to avoid corn and have had no problems). I will have to check out the whole life nutrition cookbook, sounds like some things would work for us since we are also vegetarian. Thanks for sharing! 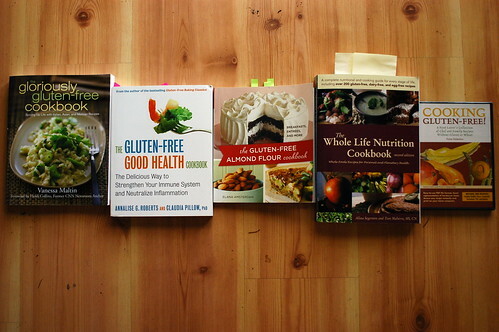 I would love a copy of any of these books, but especially Cooking Gluten Free. I am gluten intolerant and just had my first baby. I want him to grow up eating "normal" foods, but don't want to have to buy the normal foods. I have slowly been working on making things from scratch, but making them gluten free as well has been a bit of a challenge. Thanks for offering another fantastic giveaway. I've been gluten free for a month now, and while it's getting easier, it's getting harder too. I'm trying to find food that's going to satisfy me like the food I used to eat did. Somedays, it's all I can do to not reach for that cookie or have a bagel at work. I need something new to look at, new recipes to put into my cooking rotation. I've been following The Whole Life Nutrition Kitchen blog for a few months now and am so impressed by how they manage to merge good health with great taste! The recipes are simple and wholesome, yet creative and satisfying, and still appeal to those who aren't celiac, like myself. That said, I've been having some digestive issues lately and, ever so coincidentally, have decided to go gluten-free for at least this week and see how I feel. Thus, I would be honoured to receive the Whole Life Nutrition cookbook! Can't wait for your book to grace us with its presence! I just started reading Gluten-Free Girl and cannot get my nose out of it! I also provide some personal chef-type services to a good friend of mine and her family, so I'm sure they would welcome some new recipes! We found out six years ago that our youngest son is severely allergic to wheat, barley, rye, oats, dairy, eggs, and nuts. Then we had our older son tested, and he's allergic to tree nuts, peanuts, and a whole host of other foods. My husband doesn't have celiac, but can only tolerate so much wheat. We've made the switch to wheat-free/gluten-free pancakes, waffles, and desserts for the whole family. Lots of rice. And potatoes. But dinnertime, especially, I am a short order cook, often turning out separate meals for everyone in the family. Honestly, I'm exhausted and out of inspiration! I would LOVE a gluten-free cookbook (though not the almond flour one) to help me come up with some FAMILY meals to serve so I can make one thing instead of three or four! I love cookbooks--what's not to love about recipes & pictures of delicious food? Sure you can google pretty much any recipe you want these days, but there is just something about holding the actual book in your hands. Taking it to bed with you and paging through it, earmarking recipes to try, while cuddled up in your pj's. Since going gluten-free 3 weeks ago, I'm all about expanding my gluten-free cooking. I've had great successes with recipes I've found online (some in your blog & first book, thanks a lot!) but I would love an actual cookbook. I love cookbooks! I've been buying a lot of the ones that focus on whole foods which tend to be naturally gluten free. Thank you SO much for reviewing some good gluten free cookbooks! I have none of them, which is why I would love to own at least one. It takes time to find a recipe I want to try..and you have saved us some of this time. I will be putting some of these books on my wish list. Thanks for making it possible for us gluten intolerant folks to eat good food again. Wow, I love the sound of a couple of those cookbooks. I must admit, I'm a huge fan of Elana's Almond Flour cookbook. But the idea of having something that would help my roommate feel less intimidated by her turns to cook (I'm the only gfer in my household) would be a godsend to us. Plus it would be a great way to help keep the kid (10years) interested, as she could flip through and pick out things that she wants to try and/or make! I am sensing a lot of free time coming up ... which would mean more time to experiment! I have been buying more cookbooks lately (Babycakes, Flying Apron) but they are all dessert related. I would love to learn about gluten-free pastas and other savory dishes! I have The Whole Life Nutrition Cookbook too and think it's absolutely wonderful! In fact, maybe I'll take it out this week and try a new recipe. I'm not currently gluten free, but it's something I've been thinking about exploring for a while. I'm interested to see if it will make any difference in the way I feel. I'm slowly coming into the realization that I have celiac. Last December, my grandmother suggested it. I did not follow up immediately. In January, my husband and I went back on a low-carb diet in a bid to try to get healthy. As someone suffering from autoimmune thyroid disease, and a sluggish metabolism, and my husband a diabetic, we both carry extra weight. We want to get healthy. On the low carb diet, as when I have tried it in the past, I felt a little better. I still did not heed this warning. I am a graduate student, I travel several times a year for academic conferences. I came off the low-carb diet to travel for one in Mexico a week before my flight. I was sick, so sick. The whole trip, and weeks afterward, where I continued to eat gluten, I was sick. I became desperate, I had to find out why everything I ate went straight through me, and my body continued to bloat. I remembered my grandmother's suggestion, and started to research celiac. I found this site. And, then I went the nutritionist on campus. Thank goodness we have a variety of health services available to students at my university. I hoped the nutritionist would understand where I was coming from, and she did not disappoint. (I still have not yet gone to my doctor or had the blood test, I have to wait until school is back in session in August.) Under her guidance, I went gluten-free for two weeks. After six days, I got better. I had more energy, I wasn't spending half my day in the bathroom. I accidentally ingested some gluten right about the 6-day mark, and I know that this will happen as I learn what the rules are, but got better in a few days. This trial began a month ago. My task now is to learn what I can eat, and how to make food I love to eat. My husband will tell you that I have a discriminating palate. I just want to eat good food. Thankfully, I have a wonderful support network. You see, I am an avid cook, but especially baking. I've gotten a reputation for being a good baker in my group of grad-student friends. I'm also a stress-baker. Deadlines be damned, if I'm freaked out, I bake. It calms me, centers me, and takes me back to happy memories of sitting on the counter as my Grandma baked cakes, cookies, and pies. I put all my worries in the batter, stir them, put them in a pan, and let the oven bake them away. When the timer rings, something delicious, and transformative happens. I bake with my whole heart, and it shows. People who ate the last gluten cake I baked (a blueberry pound cake for my friend Judy's dissertation defense) relished every bite. Non-cake eaters came up to me, thanking me. And Judy loved it, too. I hope that you will choose me because I love food, am learning my limitations with celiac, and am working toward getting well. My demanding graduate program doesn't leave a lot of room for living. What little space I do have, then, I don't want to be filled up with "make-do" imitation gluten-foods. I'm unemployed this summer (my assistantship doesn't cover the summer, and job searches thus far are coming up empty), so I have time to cook, explore, and learn about how to feed myself well. I read your blog faithfully, and have learned so much already. With your help, I can take it a little further. I don't want to miss gluten foods, I just want to eat well, and be the best me I can be. So thanks, for all you do, all you are. You're an inspiration. I am currently stalking Elana's pantry. She is doing cupcakes this month because of May gluten awareness month and I love a good cupcake. Actually I love a good sweet anything. I love her recipes for the reasons you have mentioned, a few ingredients that are wholesome. I would love to have Elana's book to try the sweet and savory (those turkey burgers sound to die for)g/f meals! Last fall, I found out that I am allergic to wheat gluten. I also have candida, so my food choices are fairly limited. I have learned so much since last fall, though I still find myself cooking two meals for my family. I am so grateful that you and other bloggers provide so many great gluten-free recipes! I do not have a gluten-free cookbook yet, and would love to have recipes in the kitchen with me for meals and/or goodies that my whole family will enjoy eating. It's been one year since I was diagnosed and while I haven't had any trouble sticking with a GF diet, our household cooking has been very simple and limited. Protein, veggies, carbs are simple and uninteresting. I'd love some help in making every dinner special, easy and unique. Love your blog and look forward to your book, too! If you don't have any Bette Hagman books you are missing something! Her GF bread recipes were the first GF things we ate that were actually tasty. I use them as a base for all my baking. hi shauna! i have rarely ever commented, but always enjoy the snippets of your life that you share with the world, including strangers like myself. Thank you. I have many more years of gluten-free-dom under my belt than you, but that doesn't mean much. You already have far more experience with cooking and baking gluten-free than I do and I really appreciate all that you share from your hard work experimenting. I would love if I were able to just experiment with ingredients and throw together flavors that match, the way you and chef(s) are able to, but really, I'm still such a recipe person. I like having someone tell me amounts that work, and ingredients that compliment each other. So despite 18 years of being gluten-free, I still feel like I'm new to cooking and know that any of these cookbooks you've recommended would help me continue to discover food in new ways! I have the almond flour cookbook, but I would love any of the others. I am really getting my love of cooking/baking back now that I'm learning to do it gluten free. Thank you. My sister and I have auto immune issues, and both of us see naturopathic practitioners as well as western doctors. Since gluten causes inflammation, my doctor has me trying an 80% gluten free diet, for now, to decrease the inflammation and see how diet affects my body. Anyway, it's still such a new way of living for me, so I'm always searching for recipes--baking and cooking. I love Elana's book --I've made lots of dishes from it. I'm open to trying anything and everything out there, in the hopes of learning more about cooking eventually 100% healthy and gluten free. I have 3 of Bette Hagman's books, but would love to get back into the kind of cooking I did pre-diagnosis. I miss good Mexican, Chinese, Italian, etc. I'm really looking forward to a good GF flour tortilla recipe - can you release it early? Please? These cookbooks look fantastic. Thanks for sharing your thoughts on them, Shauna. My daughter and three of my good friends and I all have celiac - I'm the most recently diagnosed. We share recipes and often bake/cook for one another when life gets hectic. It'd be great to have five fantastic GF cookbooks to circulate among the five of us. I would love a Shauna/Chef endorsed gluten free cookbook because it has been a challenge to switch the whole family to a gluten free diet. I need to enlarge the foods/recipes for my Celiac toddler but with an eye on what works for both the child and adult palate. I have been checking things out of the library, reading blogs etc. to try to find specific approaches that I like. I like to stick to cuisine that is regularly gluten free so baking is my biggest obstacle. My toddler just loves loves loves baked goods so I want to move beyond my beginner baking skills plus he loves helping me and I want him to grow up not feeling deprived in any way. I happen to have a rice over wheat preference but I had the chance to eat whatever I wanted until my last pregnancy when I developed Celiac, so I don't feel I missed anything. My favorite foods are all allowed. So I want him to cook and bake with me food that will nourish him but also please him. Food that doesn't make him look longingly at someone else's plate. So a cookbook to help would be great. I am fascinated by gluten free cooking, as a baker/chef it falls on me to try and adapt recipes and create new ones to gluten free for several of my friends. Yet for some reason I don't own any gluten free books yet, and that's a terrible thing! I've recently become interested in a man who is gluten-free, and I'm trying to woo his heart with goodies. After reading your blog for years, just because I like your writing, I finally went gluten-free three months ago at the recommendation of my doctor. What a difference! But now that I'm officially gluten-free, I'm trying to figure out how I can still eat well. One of those books would be enormously helpful! I'm not all that creative in the kitchen. My husband (the one with celiac in our house) usually does most of the cooking. I find my inspiration through others recipes. Although rare, there are occasions when I'm able to cook something that my husband can't stop raving about. That's what makes me want to cook more. just a quick comment about the whole life nutrition cookbook (which i love love love to pieces- the recipes are fabulous!). THis book can't be tricky for someone new to the ins and outs of GF. Although they have great lists in the back of the book of what's GF and what's not, not ALL of the recipes are GF!! Don't assume that it's a GF cookbook, because it's NOT!! I suggest reading the lists in the back of the book and then going through the recipes. All of them are so wonderful and easily converted to GF, but just don't get caught! I really love your blog. I love your personal stories. You have great tips and advice, helping us making the shift to a gluten-fee life a lot easier! Thank you. Very very much! I would love any one of these cookbooks. I am exploring gluten-free as I think I am sensitive and I also have several friends who are indeed intolerant. What fun it would be to host a dinner party for us all! Thanks for the reviews. Oh how I LOVE cookbooks, especially ones with real foods that nourish my family (our home is entirely gluten free -- all 5 of us). I am always looking for new ideas, especially for using vegetables from the CSA. I do have Elana's and the Whole Life Nutrition ones (love them) and would appreciate any of the other 3 (if I had to choose, the last one would be my choice -- Karen's). Thanks for all you do to share about gluten free living, and that life goes on while we enjoy wonderful nourishing food. I haven't needed a GF cookbook because I have YOU. You have been my guide, my glossary and my goddess. I don't own a single GF cookbook. My existing library has become fodder for conversion and GF translation on recipes that I am confident will work. But... there are many that I fear and will quickly turn the page and say, "I can't attempt that one... too tricky." So, that said, I'd love a shot at a book that spells it all out and tastes good, too. The last book sounds the best, but I won't look a gift book in the mouth- or the table of contents... or something like that. Thank you oh fearless leader! The only one of these I have (or have even heard of!) is Elana's. And we have since discovered a nut allergy :( I love to look at gluten-free cookbooks for the inspiration. It makes me feel good to know that all these beautiful foods are possible. I still feel "down" sometimes when I miss going to the pizza place or joining my friends for something yummy at the cafe. Those are the times I pick up a book and soak in the possibilities. Wow! I don't have any of these books, but I am an avid follower of your blog! I would love to get one of these, mostly because I've been GF for over 7 years and just now starting to experiment with baked goods. All these years, I've just been making regular food for everyone in my life and going without! It was a combination of a lack of resources and a fear. Thanks for all you do and for the chance to get one of these! Hello! This is my first post to your blog, though I've been watching from the sidelines for a few months now, eagerly devouring every word. I would adore a copy of The Whole Life Nutrition Cookbook, please! Its vegetarian bent, with options for adapting to casein- and egg-free as well, sounds intriguing. I need a good solid reference for this kind of cooking, as I'm toying with the idea of writing my own food blog. quick gush - thank you for all the loveliness, depth and yumminess you provide here. i read you with such alarming regularity and am totally inspired! i have been gluten-free for almost 2 years, and would love some hard copy inspiration for us all - i have 4 small fry and am continuously working to find food that everyone loves and everyone can eat:) we love food:) that said, my sweet husband is finally ready to engage with gluten-free cooking (truly as a means to show his caring for me)and i know that having a go-to manual would smooth things him. thank you for this opportunity! be well! I heard Vanessa Maltin speak at the DC Celiac Support meeting last weekend. Vanessa had the best idea for what to do with a gluten-free cookbook - give it to a restaurant chef. She does this with her new cookbook. Also, she talked about how her recipes will be served at her wedding and rehearsal dinner. I would love a gluten-free cookbook. Any of them, really. I have been gluten-free for 2 1/2 years now and still don't own a designated GF cookbook. 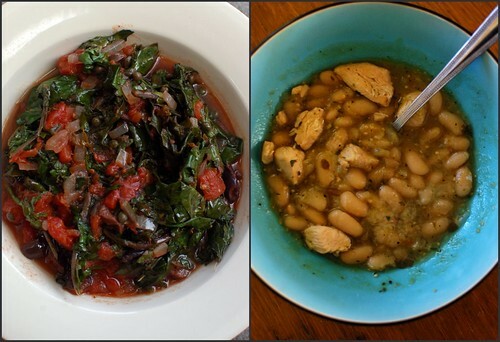 I mostly cook from Mark Bittman and Jamie Oliver's cookbooks and have become (far too?) accustomed to just substituting when recipes call for flour or other glutinous ingredients. Wow, those are excellent books, I don't own any, I've never seen them on the shelves here in Ireland, then again I have Darina Allen's Healthy Gluten Free Cookbook that I've found to be a great standby, I don't use it enough but over the last two years I've been slowly learning what works and what doesn't and slowly weaning my husband off gluten. I try to try at least one new thing every week. Those books sound so good. I thought it's interesting that the stop inflammation book had tomatoes. According to my ND and I've seen it elsewhere; tomatoes, potatoes, peppers and eggplant - anything in the nightshade family cause inflammation. I try to limit my amount of nightshades to get rid of my inflammation but do allow some. My daughter just turned three. Along with her 3rd birthday candle, she got eczema, constipation, tummy aches, rashes, dry scalp, ear infections and black hairy tongue disease. We now found out she is gluten intolerant. I have three children and one more on the way and here is the secret. . .I hate to cook. I am beside myself at every meal with tears because I don't know what to make my family that will taste good and won't stress me out. I would love a cookbook to guide me in the right direction and help inspire me to make my daughter feel better. Thank you for your amazing blog, it is one of the only ones I take the time to read, or else I get very overwhelmed. Thank you so much for the cookbook recommendations. We do have the almond flour cookbook and love it. When I have time, I love to make more "involved" baked goods, but her recipes are great when I need something quick to take to a b-day party for my boys (ages 5 and 3 and both gluten intolerant as am I). We have been gluten free for almost a year and a half lately. We love to cook and I have had a lot of luck adapting recipes - especially savory ones, but have been craving a cookbook that needs no adaptations. I have been gun shy though, we did buy a baking one that was awful. So whether we get one of the giveaways or not, we will be shopping for a cookbook soon! I need one of these books. I'm in a rut. We have the same 10 meals over and over and over again. I need it. My relationship needs it. Thanks for the insight into each of these books. Since going GF a year ago I have bought a few books but still find I have so much to learn. I'd love to have one of these books - any one, to spice it up and try new recipes. Thanks for a great blog! cooking and baking has been a serious pastime of mine for years, but ever since going GF i've been nervous in the kitchen. dropping stuff on the counters, spilling sticky stuff on the floor and making a mess too overwhelming to clean. like many people, i need the self-confidence to jump back in the kitchen and conquer my fears. I have one more classic to add to the list 1001 gluten free recipes by Carol Fenster is a must have for gf cooking particularly if you are just starting. I have liked every recipe I have tried, except the buttermilk pancake recipe. Some of the baked goods are better from Gluten Free Baking Classics, but for just about everything else its great. I make the spicy asian chicken at least once a week, though I vary the veggies based on what is fresh. I would love a copy of any of those wonderful books. Feeding myself and my children healthy, tasty, gluten free goods has been my mission for almost a year now and I feel like I'm finally starting to get it. I am so fascinated by the idea of gluten-free cooking, because while I've been very aware of the idea of food allergies/sensitivities, it's only been recently that I have friends who are gluten-free. As an enthusiastic baker, I am bummed that I don't know any recipes for delicious desserts that can also satisfy gluten-free eaters. The more I read and pay attention to my body, the more I am recognizing that I have something going on -- and it well could be celiac/gluten intolerance. I really want to spend some time cooking gluten free, but am nervous because I am so accustomed to cooking with wheat flours. A good cookbook would help me find the confidence to dive in and help my body feel GREAT! Being someone who is not normally afraid of cooking, I'm shy to admit this fear, but it's very true. Loving your book and the recipes in it, and hoping to move more in this direction. What a great post. Thank you! I have been a little overwhelmed by the selection of gf cookbooks lately. We just tried several recipes from Elana's book this week and the salmon burgers are great too. Super fast and the almond flour and eggs worked perfectly as a delicate but substantial binder. I'll be varying the fresh herbs and spices on that for a long time. I really like the Whole Life Nutrition cookbook as well. It's so versatile and really much tastier than I expected. You have made me really want to get my hands on Cooking Gluten Free now! It sounds amazing. Of course, I am really looking forward to your new book as well! I would like a copy of any of the books so that I can give one to people to borrow so they can see that I still eat good food and it is okay to invite me over for dinner. I'd love a gluten-free cookbook simply because I can't afford one! Next week, it will be two years since I got my celiac diagnosis and have been scounging the earth for great tasting gluten-free recipes ever since. I almost always borrow from the local library but I feel so guilty when I have to renew the same book 3 times in a row. Our pocketbook is thin thin thin right now so it's a hard to shell out the extra cash to buy one. I love your blog, your stories, and your book. You've been an inspiration ever since I found myself gluten-free and I've learned to embrace life given so many limitations, in part from you. I always love to get new gluten-free cookbooks because then I get to see the way that they chose to use flours and flavours. In seeing how they do it, it lets me figure out which way works best for me. I find that cookbooks help me become a better gluten-free baker or chef, because they provide more ideas and possibilities to me :). Since going gluten-free (& enjoying how much better I feel) I've been interested in how nutrition has an effect on us. I would love any one of these books (I already have Elana's Almond Flour book - and have loved many of the things I have made from it). My son was just diagnosed with celiacs two weeks ago (wow, it seems like so much longer than that!) I have been scrambling around ever since trying to understand as much as I can about it. Your blog has been wonderful-mainly because of your positive attitude-when I get overwhelmed (which is often:) I read some of your posts and I think-I can do this!! I would love a gluten free cookbook-we are trying to all eat gluten free for our main dinner meal, but it is hard to adjust. And I want to find recipes that he can enjoy so that he doesn't feel sad about all the changes in his life. Thanks! For the giveaway and for sharing your thoughts! My partner is having tests done for frutose intolerance and if they come back positive, which I suspect they will, then no more wheat for him. A copy of any of these books would help him through his journey to getting better. Hi, I'm a naturopathic doctor and have recommended your blog to tons of patients, the feedback has been uniformly positive, so thanks for making my job easier. I'd love 1 of the cookbooks because my dear husband was just diagnosed with a cancer for which western medicine has no cure. We are therefore using food as medicine, as we think this is his best hope of making it through. One of the best resources we've come across is the "eat right for you blood type to beat cancer" book. According to this book, and our other research, gluten is first thing we should take out of his diet to help beat the cancer. Thanks for your great site Shauna! These books look amazing -- I am particularly interested in Vanessa Maltin's The Gloriously Gluten-Free Cookbook: Spicing Up Life with Italian, Asian, and Mexican Recipes and Elana Amsterdam's book The Gluten-Free Almond Flour Cookbook. I have been eyeing both the Whole Life Nutrition Cookbook and the Gluten-Free Good Health cookbook on amazon for months - being now gluten-free in addition to dairy-free and egg-free, those two books are the most attractive. But honestly, the way you read about all the others, any single one would make me so terribly happy. Shawna, I have been challenging myself to a gluten-free diet for about a month now. Other than the occasional piece of bread, I think I'm doing alright. I have lost 6 pounds and am feeling great. Thank you. I don't have any of these and would love to have the passion for gluten-free food like you do. The few cookbooks I do have are, well, uninspiring. I am recently diagnosed with celiac. I like to think that my cooking before going gluten free was pretty darn good, but now it is a flop! I would like a cookbook to help me navigate the GF world of baking and make tasty things to eat for my family again! As a student of naturopathic medicine the Whole Life Nutrition book would be a great resource not only for myself but also for the many patients I see with digestive concerns (gluten happens to be the first thing we remove from their diet with great success). I'd love one of these books because, although I have been eating gluten free 2 years now, my recipe list has not grown much at all. I need ideas and inspiration. Thanks for all the excellent recommendations. I'd love to try these books... finding myself in a gluten-free rut and would like to try some new recipes! Thanks! Funny how different cooks end up with different results. I made the empanadas from gloriously gluten free and only added 1/2 cup of water to the dough as mine was sticky. Did you drain the grated onions? Mine had enough liquid I needed to add very little water to make a perfect dough. We all loved them so much. Our four year old gobbled his up and declared it "delicious!!" i'd love to get my paws on some gf cookbooks! gf is a way of life in our house. gives me neck/shoulder aches and my son, and likely new daughter, have gluten intolerances. i only have a few gf cookbooks and they're all almond flour based so variety would be a blessing. thanks for all that you do! love your blog. I'm glad you wrote about the wonderful nature of almond flour in baking. We discovered it when I was diagnosed with gluten and corn sensitivity two years ago. It, along with tapioca and rice flours, are staples in our pantry. Growing up on the Mexican border, I was lucky enough to eat mostly non-processed food. However, I really missed flour and corn tortillas. Rice flour and almond flour are the staples of my tortillas today, and they pass the taste test of my family's (brothers, husband and sons) discerning palates. I own and love, Elana's cook book as well as Tom and Ali's. But I would love to win any of the others! My daughter is sensitive to gluten. We've never had her tested, but she had a horrible rash that kept her up at night, that cleared up as soon as we took her off gluten. She has never looked healthier or grown so much as in this past year. Hi, never posted here before but I just want to add a word of caution. As a person who is gluten intolerant and allergic to tree nuts and peanuts, I would just advocate that when making things with almond flour that you tell any guests you have. Some of my worse reactions have been when I have asked if something, usually a baked good had nuts in it, and was told no, but it was made with almond flour. Sorry, just a small petition now that so many people are using almond flour in their recipes! I would love to have a copy of any of these books. I'm not gluten free, but I love to cook and bake for my friends (some of whom happen to be GF). Either it would find a loving home in my kitchen or I would pass a cookbook along as an early Christmas present to one of my GF friends! It would be great to have more gluten free resources! With so many out there, its hard to know which ones to buy, so I've mainly just relied on internet resources. I've been gluten free for about a year now, and just helped my mom with the transition as she just found out that she also has celiac disease. She doesn't have internet access, so she would really benefit from some great gluten free cookbooks as well. I want to have a gf cook book because: 1. They are expensive 2. 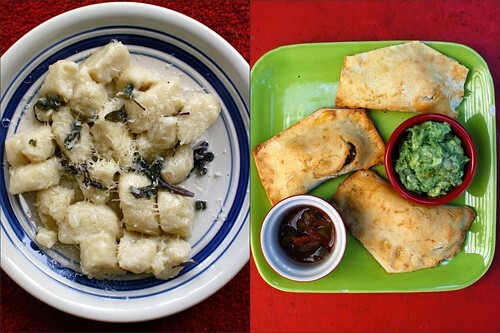 I miss things like gnocci and good tortillas 3. With various health problems as well as being gf/df I don't have a lot of energy to experiment on recipes with. If it flops then I'm tired and frustrated and eating not very tasty food. I'm so thankful for people who dedicate time and energy to come up with good eats! I would love a gluten free cookbook because my mother has celiac and her birthday is coming up soon. I know should we really appreciate the gift. I'm a college student and I recently found out I was gluten intolerant. Now that summer's here I have more time to eat good food and I fully plan on doing so. And I'm desperate for some guidance here! I've barely had time to figure out cooking, let alone gluten-free. My husband went GF along with me about 18 months ago. Our daughter, just 1, has been + will likely remain GF her whole life. Somehow, we've just been adapting our previous cooking life without really picking up new skills. We've just learned my husband carries the genes for celiac! While it won't change the way we eat, it has re-energized us and makes us want to explore our GF options a bit more broadly. What a lovely review of g-f cookbooks. I would dearly love to win a g-f cookbook. I was diagnosed with celiac 1.5 years ago and have worked hard to remove gluten from my kitchen and life. However in the past few months life has gotten so crazy with work and school and health issues and my children that I've been eating on the run and just throwing easy things in my mouth when I get the chance. I haven't been careful to completely avoid gluten and my body is screaming at me, but the rat race continues... A new cookbook would be a breath of hope. The Whole Life Nutrition book interested me as I also have an PCOS which impacts the my bodies insulin levels and metabolism. I have been keeping it under control for years with severely restricting simple carbohydrates and insuring sufficient protein and fiber, but am tired and busy and in a rut. I'd love a gf cookbook to add to my library- always looking for new recipes to cook for my family. We've been doing gluten free because of intolerances for about six months. My husband says he notices a difference in mood. I don't have a gluten free cookbook yet. I've been altering recipes in my other books, based on information on from your website. I'd love a cookbook. I love reading cookbooks for enjoyment and we cook every meal these days. THANKS! Who wouldn't be happy to have any one of these books? That said, I probably wouldn't make as good use of it as some other people would, because I can eat gluten. This doesn't stop me from doing some gluten-free cooking, however. I am always interested in learning how to cook for various diets, an interest which arose from my own numerous food sensitivities. I'm also glad to see that the awareness has been broadened. There are also people like my mother, who has a sensitivity to wheat but can eat gluten in other flours (such as spelt). I will going gluten-free as soon as I figure out how to do it! It sounds really scary and like a huge pain. But I already make all of our bread, so maybe it won't be so bad. I did not know there were so many GF cookbooks. You have given me a little bit of hope that this is doable. Thanks. Lola VanKirk here, I would like one of your gluten free cookbooks because I had lower digestive tract cancer three years ago and my digestive system is somewhat haywire. It would be nice to fix great tasting meals that will not blot or make my system over stimulate. We do have The Whole Life Nutrition cookbook and cook out of it almost daily! My kids and I are gluten intolerant and we have several celiacs in our extended family. I love cooking for my family/extended family and would love to have some more books to cook out of. Keeping a fun and varied diet that keeps everyone's tummy happy is so important! I did not know we had a whole month devoted to awareness about us!? That is great. Thanks for sharing and the books look incredible, my mouth is watering. What a great idea! Thanks for the opportunity to expand our knowledge of gluten free recipes! I am grateful for your story which has encouraged me so much. I would love any of these books. I have been gluten free for 5 years,and am now pregnant and going through some morning sickness. Having some new recipes would be a wonderful help! I found your book over a year ago at the library and loved it. Ever since I have been reading your blog. Once I figured out the RSS feeds its been great keeping up on what you post. I have been gluten free for 18 months due to intolerance issues. For about 3 years I kept gaining 3 -5 pounds a month no matter what I did and the doctors didn't have any explanations. I even worked out 3 to 5 times a week for 5 months, until my body started hurting so much that I could hardly move (8 months later I was diagnosed with fibromyalga). And I still gained weight during those 5 months. Gggrrr. A couple of months after that I went gluten free and stopped gaining weight. Yay! I haven't lost the weight yet but at least I'm not gaining any more. Whenever I use to eat pasta or bread I would still feel hungry afterwards and had a general bloated, not feeling well. I am also dairy free for 14 years do to annaphalatic issues. And corn free for 5 years due to migraines. I have looked at many cook books at the library but haven't found any that really work for. I would love to try out one that you have and can't wait for yours to come out. I will differently be buying it and not just reading it from the library. I love being gluten free and am always posting recipes on facebook from all of my favorite blogs to share with my fellow gf-ers. I have shared your blog with many of my friends and patients who are also either gluten free, entertain in their home and want to cater to their gf friends and those toying with the idea of going gluten free. Now that I know about your books, I can tell others about them too. Thanks so much for all of your ideas and inspiration! I recently started eating GF and I'm so stumped most days. It's really hard! I would love a new cookbook to help with the process! I'd love to have this collection of books since I'm moving our entire house to gluten-free. It's been hard having only 1 family member gluten-free; having a bigger repetoire to feed toddlers to adults would be a big help! I'm starting to go gluten free and would love this addition to my kitchen. it would be so awesome to win a copy of this cookbook. I am new to cooking gluten free and could use all the help I can get. I would love to have any one of these cookbooks (and may end up with them all eventually :-). My son and I are gluten-sensitive so I am always looking for gluten replacements or alternatives. I also have several friends who are gluten-intolerant and am on a mission to help them find yummy food to enjoy right along with their friends and family instead of having to "pass" on everything else the family is eating. Hi, I would LOVE a copy of any of these cookbooks. I'm just in the elimination diet phase of discovering what bothers me and am adding one food at a time back. I've noticed that gluten does affect me negatively so that's at least one of them. I'm also reactive to dairy so I really need all the help I can to eat a good healthy gluten free, dairy free diet! BTW glad I found this blog and just bookmarked it as I'm sure I'll be back here often! I'm gluten free (and dairy, and soy free, amongst many others....oh, and we're vegetarian!) for the second time in my life. I have to do it for my nurslings, who both battle severe intolerances. This time around, I'm actually enjoying the challenge. ALSO, this time around (4 years later! ), there are so many more resources available! I want to add that my firstborn has been completely cleared of her multiple, severe food intolerances thanks to the wacky-sounding but effective NAET therapy. If you google it, you'll be inundated by crazies in both camps, but I assure you that I'm not a nut! We're currently on treatment 4 with my secondborn and have already successfully trialed goat cheese! I can't tell you how happy this makes me; I could pretty easily get by without gluten the rest of my life, but cheese? yogurt? Eeek! I'd love to have any of these cookbooks, although I've really been enjoying Whole Life's blog lately. I absolutely intend to buy yours this fall!!! Our little girl has been gluten-free for 5 years now, and I don't have even one of the cookbooks listed! Would love to own one as our whole family eats gf many times a week so we feel like a family and I don't spend our whole mealtime in the kitchen as a short order cook! Would love an opportunity to receive one you are offering...so kind of you! Thanks! All those recipes sound divine! 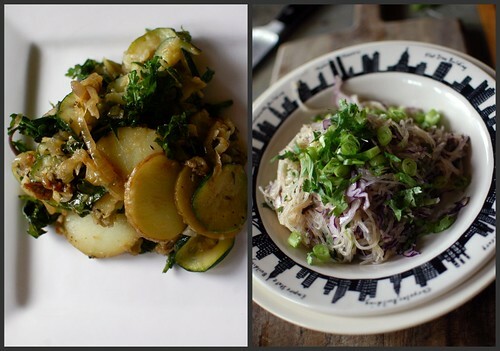 Thanks for sharing your kitchen successes and cookbook recommendations. I love finding new cookbooks to try out! I am definitely going to give Elana's eggplant a try...skipped over that one several times! It looks sooo good! My husband has diverticulitis and I have MS. I have followed a gluten-free, dairy-free diet for more than three years. Starting in January of this year, my husband and I are also sugar free, too. I don't have a gluten-free cookbook. What I do is frequent the blogs for recipe ideas. I have created some wonderful meals thanks to all the bloggers, but I would love to win a cookbook! Going gluten free has been an adjustment. It would be wonderful to have these cookbooks to utilize in the process. Just found your blog and love what is on it. I will be referencing this often. Thanks! Would love to add any of these to my collection of cookbooks. I don't own any GF cookbooks yet, so would be pleased to have anyone of them. Great job as always, Shauna! I would love more gluten-free cookbooks in my life because I also have a blog where I feature gluten-free recipes. Would love to have more cookbooks for inspiration for recipes! So many of us are fortunate to benefit from the GF pioneers that have worked tirelessly to create recipes for delicious GF food. I know I would not have the patience to try and experiment with flours and ratios and such. Thank you Shauna and others! Those cookbooks are so inspiring. I was diagnosed with celiac about 6 months ago, after months and months of unbearable pain. Its so hard, because its EVERYWHERE. I have become so passionate about cooking since I moved out (I'm 20!) and I think the challenge has made me a better cook! Your blog brings me so much joy - thank you thank you thank you! I'm the only one I know who has this allergy - dinners are more difficult and I always feel like the "pain". But new recipes and cookbooks keep me going and remind me I'm doing whats right for me! Thank you so much for your thoughtful blogs and wonderful recipes you share with the world. After my diagnosis a little over a year ago, I read your book which helped me to reframe what my future held with my new diet, in a much more positive light. I also follow Ali and Tom's blog and have cooked many of their recipes but still have not bought their cookbook, The Whole Life Nutrition Cookbook. My husband and I have enjoyed cooking from Elana's cookbook and look forward to your upcoming cookbook this year. Thanks so much Shauna, and Danny, for elevating gluten-free cooking and baking to a new level. I used to work in high-end restaurants in LA and was a professional baker in my life with gluten. I have missed so many of the things that I used to make (baguettes for one), but you guys, and the other authors of these great cookbooks that you just reviewed, give so much hope and happiness. Thanks for that! I was plagued since childhood with chronic stomach issues. I have been to several gastroenterologists to no avail. I was dx'd with everything from IBS to "we just don't know what's wrong with you". I read your blog one day which led me to read more about celiac and gluten-intolerance. After having severe ememesis with my pregnancy for six months, I was tired of still getting sick all the time even after my son was born. Something had to change, and since my traditional doctors were of no help, I put myself on a gluten-free diet for about a month - just to see what would happen. Well, I stopped throwing up and the endless nausea went away almost immediately. Finally after, 35+ years, I was free from that. I told my doc about it, and she decided to do the celiac panel. It came back inconclusive. She didn't know what to think, but I wasn't willing to load myself up again just to test positive. While I usually don't get nauseous anymore or the debilitating stomach pain if I am accidentally glutened (with the help of a lot of glutenase), I now get migraines, even if I am just in the same space as something being baked. Unfortunately, that happens far too often as my husband, who could stand to be gluten-free too, isn't supportive and often leads to many of my gluten-induced episodes. So, it's pretty awesome that The Chef is on the same page as you and willing to embrace your gf needs. I'm starting to blahblahblah too much, so just let me say, thank you for bringing this issue to light and for all the inspiration and amazing recipes. I hope the one for puff pastry will be in your new book! I've been needing one. I bought Ali and Tom's cookbook 3 weeks ago, and have already served the enchiladas (p. 248), cabbage salad (p. 181) to over 25 different people at 2 different events. I could barely stand to leave the house without this cookbook the first week I owned it. Perhaps most significantly, a gaggle of 14 year old girls kept eating the enchiladas until they were gone - - some of them had thirds! Spring is a perfect time to dive into this cookbook - - because it reminds me that fresh, simple ingredients are really all we need - - and the "eat 6 different vegetables every day" mantra is hard to resist. I even made made my daughter a kale smoothie before school twice last week - and she gulped it right down. Who doesn't love that? Cooking is my favorite pasttime and a big stress reliever! However, since I was diagnosed with Celiac about one year ago, I have really struggled to spend time on meals. I have missed the solemn time in the kitchen as I now seem prepare simple meals for the rest of the family and heat up a frozen GF entree for myself. I have purchased recommended items from your blog i.e. Zing bars!, Bob's Red Mill products, Pamela's cookies and mixes etc., however I'd love to expand my variety of options for GF cooking - my five recipe boxes on hand are rarely opened anymore due to the GF content in a majority of them. Thanks for a good bibliography of resources! Thanks for consolidating the list of gluten-free books into one post. It'll come in handy when I decide which book I want to buy. I would love to win a copy of one of the cookbooks. I had to go GF during pregnancy and now while breastfeeding. I feel so much better, and my baby's skin is clear as long as I remain GF. I don't have any resources for it though so am making my way the best I can! Love your blog - just found it and can't stop exploring! Super helpful, well written and great photos. I'd definitely be interested in any of these-especially Ali and Tom's book, or Karen Robertson's. Sometimes it's nice to have a cookbook on hand, instead of having to create or hunt down the dish I want. And with so many options... well, thanks for reviewing these. Several are definitely going on my list! I've done a lot of internet searching for GF recipes because my 16 month old son has had digestive problems and eczema since he was 3 months old. Now that he's switching from baby food to table food I would really like to learn how I can incorporate more GF recipes for the whole family. My 16 month old son has suffered from digestive difficulties and eczema since he was 3 months old. We have him off of gluten and dairy but I do not have any cookbooks to help me learn how to make GF meals. I would love a copy of any of these books! I am so surprised I don't have any of them since my pantry seems to be overflowing with GF books. I am a bad baker now that we are all GF- 3 out of 4 in our family are celiac (2 yr old/5 yr old and hubby). I NEED help! I am constantly buying GF cookbooks to help me out but I never had any direction on which were good- thanks for the info!!! Thanks for your honesty in the cookbook reviews. It's particularly helpful. And I, too, did a bit of a double-take when I heard it was the Gluten-Free Challenge weekend. Why promote it as a sympathy-inducing event? Why not use it as a way to show everyone how great (and easy!) it can be to live gluten-free? I feel like we shouldn't be doing things to validate the sense of pity that so many seem to have towards gluten-free eating. After all, so many wonderful foods are naturally gluten-free! And as you said, eating is (or at least should be!) a celebration. Thanks for the list of cookbooks, it can be hard to judge GF cookbooks by the recipe's ingredient list alone. I'll be visiting home in the US next month and will be sure to order those. In the UK, Coeliac Awareness week in May, so I think the coordination of these events across countries can only help all those on a gluten intolerant or Celiac/Coeliac diet. - Antoinette Savills's "Lose Wheat, Lose Weight" she has a few others too, but I got this one as focused on lower calorie options (book has both wheat and gluten free versions of receipes). No photos in the book, but can still drool just reading the recipes. The lemon zucchini/courgette pasta sauce is divine! The Australian gluten free Women's Weekly cookbook is good too. The recipes in here are an added bonus because they are fairly simple therefore being great for people who cook less or one of those days were you'd rather be enjoying a Pimms Lemonade in the garden then standing in the kitchen! I would love to own more gluten free books. I can have gluten, my husband as well, but we have been experimenting with gluten free baking and cooking for 3 or 4 months now and we really like it. It's kind of discovering new flavors. It has opened a new culinary universe for us. Absolutely, every day should be celiac awareness day and every month, celiac awareness month. Or, as I like to say celiac + awareness, because there are so many folks who don't have celiac, but still have serious gluten issues. Thanks so much to you and Danny for your in-depth reviews of all these cookbooks! The last three shown are on my support group's bookshelf and we value them! :-) I'm particularly fond of Ali and Tom's Whole Life Nutrition Cookbook, because not only does it offer some wonderful, simple recipes, but it's also a great reference book for ingredients, cooking methods, etc. As far as your genererous giveaway, I'd happily take either of the first two cookbooks shown to share with my group. Thanks for all that both you and Danny do, and I know we're all looking forward to book #2! All of those books sound awesome! I love to cook new recipes and would love any of these books to find new favorite meals for my family. We have a myriad of food allergies - gluten, dairy, soy, egg, citrus, garlic, beans, almonds, green pepper, etc. I have been gluten-free for about a year now, and am amazed at how much of a difference it has made in my life and how well I feel. Now I am trying to incorporate more vegetables into my diet, and expand my repertoire and I have yet to really attempt any gluten-free baking. I would love to have any of these books and I am really looking forward to your cookbook in the fall. Thanks for the great book reviews. My sister-in-law was diagnosed with Celiacs, so I just started playing with gluten-free recipes for the heck of it. Once I got my hands on the Whole Life Nutrition cookbook, I did the 28 day Elimination program to see if my chronic sinus issues would benefit. I love cooking from the book so much, I am just blown away how great super healthy foods can taste when they are made and spiced up in surprising ways. Now I am intrigued by Karen Robertson's book...if I don't happen to win that here, it'll be on my next Amazon order! I've been gluten-free to about five years now and am always looking for good gluten-free vegetarian fare for our family. I am just embarking on a Gluten Free diet and am so overwhelmed on how to cook yummy meals for the whole family that one of these books would help me so much. Hi, I'm new to the gluten-free world and don't know where to start! I suffer greatly from gastrointestinal disorders. I am tired of having the bloated stomach & pain associated to eating. I was tested for celiac disease 18 years ago & the test was negative. I still beleive gluten filled foods are my downfall. Also recently my bloodsugar is borderline diabetic. I love to bake for my family, & prepare easy flavorful meals. I would love to start out with some new cookbooks & suggestions on where to get ingredients in small city Saskatchewan. I would love any of these books, except Ali & Tom's because I already have a copy, sent to me as a gift from Ali herself! Cooking Gluten-Free sounds divine. I'd love a new cookbook because I am writing one, and I love researching and gaining inspiration from brilliantly written cookbooks in the same genre! Plus, it is always wonderful to defer to someone else's brilliance instead of trying to come up with new things of your own. :) Thanks for such a wonderful cookbook review and giveaway! I don't own a single gluten-free cookbook, yet we cook gluten-free every single day due to my daughter's celiac. We desperately need inspiration! I hope we win a new cookbook. I think taking the Gluten Free Challenge is a really good idea. I might be late in doing it, but I think it would be neat to give it a go. And it's good timing because I just noticed that my local supermarket has a Gluten Free Section. Small, but there. I'd never noticed it before. I would love a new gluten free cookbook. My daughter is on a gluten free diet as well as casein, eggs, nuts, fish, corn, potatoes, goat,soy, etc., etc., etc. She is nursing and therefore we are both on her diet as well as the rest of the family. We have Whole Life Nutrition and love it! I recommend it to everyone regardless of if they have food allergies or not. We would love an additional gluten free cookbook! THank you! Oh, how I love your website! Thank you for so much inspiration and now a chance to win a cookbook - FUN! Any of these sound great with the last three you reviewed being of the most interest to me. Thanks!! Thank you so much for the information on the cookbooks! I have been overwhelmed trying to find one "family" friendly. I have celiac and have just gone without all of the yummy foods my family has eaten. Two of my three children have Type 1 diabetes, so have a high risk to develop celiac, and my husband has IBS. Now I am switching the whole family to gluten free and need "family - friendly" recipes. I think that it is great that you are giving away cookbooks. Would love to win one. However, I appreciate the information and reviews just as much and will continue coming here to check out your site! Thanks and keep up the good work! You are helping people daily! I am one of the undiagnosed. When I told my doc that I had figured out that my skin disorder was a result of gluten intolerance her words were, "Let's just not go there, okay?" Huh? Well, I go there every day. I don't have a lot of gf cookbooks because I just figured I'd give up baked goods. I am fortunate enough to have been raised on REAL FOOD, so it was not a huge leap. But what you have presented here is so tempting, so--yum, I wouldn't refuse one if I won it!!! wow! this stuff looks so tasty! I have a ten year old with huge intolerances to gluten, and several other food allergies, it would be great to have new recipies to work with - he is ready to work hard at it again as his eczema gets so bad when not sticking to his diet plan, he wants to do it for himself now!! I swear by Elana's almond-flour cookbook, even though I have to substitute for the eggs (three tablespoons of apple sauce = 1 egg, and it works great in all the cookies/scones etc. in her book). I adore that I can get cookies into the oven in about 15 minutes, and I often prefer the texture and mouth feel of her recipes to recipes that try to closely replicate "normal" baked goods. I'm really looking forward to trying out these other cookbooks, which I do not have. Thanks for the recommendations!! Hi, your blog is quite an inspiration. I have been wheat free for 4 years now and it has transformed my life. I don't fall asleep in one on one meetings anymore, I don't have to take at least 3 days off a month from work because of illness, I'm not thinking about taking out shares in Kleenex! I love my food and now my food loves me. And yet I still crave decent carbohydrates. I have some great cookbooks with fab recipes for veg or chicken or meat, but as soon as flour is involved it's always wheat. I have tried making the gluten free recipes on the backs of gluten free flour packets and they are always flat and a bit like concrete. This is why I have never bought a dedicated gluten free recipe book - I assumed their recipes would be like these. So now with your info I am going to spend lots of money at Amazon!! I am lucky enough to own a copy of Elana's book, but I would love to have another gf standby. I'm still pretty new to GF cooking and have mostly just given up baked goods rather than trying to use lots of different gf flours - I'm still a bit overwhelmed by it all - I actually haven't eaten "bread," save some almond flour pancakes, in about 7 months. I could really use the inspiration and wisdom of a good GF cookbook. Your blog has certainly been a huge help, and thank you for all the wonderful recipes and hardwarming stories! I would love a great gluten-free cookbook because I don't have a single one. I just make stuff up on my own. Having a cookbook would expand my eating repertoire! Just found your blog today through Whole Life Nutrition so I'm going to add you to my reader. Thanks! What a great review of all of these books! Even more awesome that you're giving away copies. I already have Elana's and I just ordered the Whole Life Nutrition Kitchen book, but I'd love to have the others - especially Karen Robertson's. I totally need to make flour tortillas that make MY husband say "shut up!" :) I agree with your statement about Gluten-Free Awareness month - it's always Gluten-Free Awareness month around my house too! I have been wanting to try eating gluten free because I have health problems and the doctors don't know why. It would be kind of fun if changing my diet would make me feel better. I love reading what other people think about cookbooks! This post was great to read. I'm new to gluten-free .... my family is starting the elimination diet to see how it can help us. My seven year old has chronic migraines, after extensive tests and medications without any success we are opting to try gluten, dairy, egg, soy free living. To help my kids (5 and 7) eat this way I need to get them cooking with me and need some cookbooks! Thanks for the book suggestions. Our family would love a good gluten free cookbook because we are always trying to learn new tricks. My son is four years old and was diagnosed with Celiac disease this year. We have a long road ahead of us and could use all the help we can get! I would love to win a gluten free cookbook. I don't own as of yet, but would love to win. I get all my recipes and inspirations from reading online blogs. I would love to win The Whole Life Nutrition Cookbook as I follow their blog and I love all the recipes they share. Actually, all the cookbooks seem great, that is just my 1st choice. Hi! I've just recently been diagnosed with gluten intolerance and I am also newly pregnant (9 weeks! ), so I really want to make sure I am eating healthy and delicious gluten free meals for me & baby. A good gluten free cookbook would really help. In the mean time I have become a huge fan of your blog as well a lot of the cookbook authors for inspiration and information. I would love a copy of these books! I've been cooking gluten free (and dairy free and egg free!) for a little over a year now. My six year old son is the reason I am learning this entirely new way of cooking - being a "foodie" in general, it was hard having to start from square one again. I own Alissa and Tom's Whole Life Nutrition Cookbook and absolutely adore it (I drive up to Bellingham from Seattle to attend any and all cooking classes Ali gives). I spent some time perusing GF cookbooks at the bookstore. I was so overwhelmed by the number of books and underwhelmed by the way most of them looked (I think only one of them had color photos. Sad.) It's so nice to see what you thought about these. I will add them to my list!! Thanks for sharing! My 2 1/2 year old daughter has it and they suspect my 4 year old son does too and possibly our son that is almost a year old and I have an intolerance. We suspected something was happening when my oldest two stopped growing and have the bone age of 12 month olds and no one could give us answers. Now I am looking for something to help us out with changing our whole family over to gluten-free so we can be healthy again. Whether I am able to get one of these cookbooks or if you know of someone that has come out with some that are family/kid friendly, please let me know. It is hard enough when kids are picky but now having to change most of what they eat is going to be a challenge to say the least. Any help would be great. I am 18 years old and the oldest of 6 kids. Our family recently discovered that we have celiac disease and went completely off gluten. This was a struggle because until that point we had been living off homemade bread and raw milk from our cow. For a while, we were pretty hungry, let me tell you! But soon things changed and we had more grocery money and I started playing with gluten free flours. I have always dabbled with chocolate chip cookies and potato soup, but I was never really interested in working with food. Mostly I baked cookies for an excuse to eat the dough! But then I started making gluten free pancakes that were really really good!! I mixed flours with an abandon that my usually perfectionistic self could only gape at! I tossed around cinnamon and nutmeg! Then one day I was home alone (a rather rare occurrence) and I decided to make your kalamata rosemary bread. I hadn't attempted bread before. I turned up the music, danced around the kitchen, made carrot soup and peered curiously at the dough. I pretty much had a ball!! And let me tell you, when I pulled out that bread and saw it sitting golden in the afternoon sun, I practically cried. It smelled SO GOOD!!! I could not believe that I had made this petite, aromatic loaf of bread. Now, I catch myself daydreaming of flavor combinations. I feel rather let down if I cannot think of a way to spice up whatever I happen to be creating. I want to experiment and invent! But I realize that I know very little about cooking and baking. I don't know the rules, and I am a bit nervous that I am running on beginners luck. I am eager to learn what other people do so that I can expand what I do to the next level. This is why I would love to have some real gluten free cookbooks. I want to make food for my family that is alive and vibrant. I am a singer and composer, and I hope that someday I can harmonize flavors as well as chords. I read your book and it really changed the way I look at food and cooking. I have used your recipes and it has given me courage and the feeling that I can make anything I want to without gluten, if I just apply a little perseverance and creativity. So regardless of anything else, thank you for sharing so much of your experience and recipes and story. Your blog has become cozy a place I love to visit! I don't have a job right now so I'm on a shopping moratorium (for myself anyway)--so a new GF cookbook would really brighten my day! We've been gluten-free for over 6 months and I've only gotten recipes from blogs or checked books out from the library because I would hate to buy a book and find out I didn't like it. Therefore, I would LOVE one of these! The recipes look delicious! I really enjoy your blog and have loved the recipes we have made from here so far. Thank you so much for sharing! I own one GF baking book "Bake Deliciously", though haven't used it yet as I just bought it. I have also pre-ordered your upcoming book. My daughter has Celiac disease and is also 'allergic'(not anaphylaxis type allergic) to eggs, dairy, yeast and a couple other oddball foods (odd only in that they seem so random). The dairy I can handle by using goat's milk products (is there goat's milk butter out there??) I'd LOVE to have a book that addressed all these issues...good luck making GF bread and pizza dough w/o yeast, for instance. Truth be known, gluten will be off her diet forever, a large effort will be made in the egg and dairy department, but yeast? I might have to just allow some in there for the sake of simplicity. If anyone out there has suggestions for baking without eggs and yeast please let me know. Thanks! and Shauna, I can't wait for your cookbook to arrive in the mail! two cousins were just diagnosed with celiac, and i've been battling lupus for the past 7 years. some research indicates that gluten can be a trigger for lupus flares (or at least interfere with the body's ability to combat inflammation). so i'm ready to try going gluten free and would love to be armed with a set of new recipes! My husband found out that he was gluten intolerant at the age of 34. Until then, he had spent an entire life being miserable and thought that that it's how things are. I forced him to go see a doctor who incidentally had a daughter with GF issues and suggested that he try a gluten-free diet. Of course, as soon as we started experimenting with a GF diet he started feeling better immediately. Because I'm Asian, it's easy to make him foods that don't hurt but I would love to make him some more of his favorites! Both I and my future husband have wheat and gluten intolerances. I found out about your books from Bastyr University in Seattle and have been following your blog ever since then. Thank you for all the valuable information. I don't know when your giveaway ends but.... I would love to have a new gluten free cookbook. At the moment my budget doesn't allow for new books so I get them from the library, but there is nothing like having your own favorite cookbook to refer to over and over. At the moment I need to be wheat, dairy, corn and chocolate free (sigh - yes chocolate) and so would like some more cooking inspiration in my life. I found your book by fortuitous chance and your blog from the book... love it, thank you. When is your new book coming out please? I'd like a GF cookbook because my ND wants me to go GF and I'm scared! I'm anxious. I don't know how I'll do it. She told me to before and I tried it and failed miserably. I wish I could afford some books on my own, but we're both students, ack! I have been recently diagnosed with gluten allergy/intolerance and it has been so difficult to adjust. Needless to say, the American way of eating is so boring and bland that adding to it a restriction of sorts is even more daunting. I am currently reading your book and I am in heaven. You have opened my eyes to what real food is. I really want to visit Europe by the way, and get a feel for the culture and definitely the food. Keep on inspiring! There are 2 parts to my plea. 1- My life story. I'll cut to the chase... I'm sick again... I need to do a "cleanse", and kick out all the crap I've been fudging on over the past year and a half, and don't want to go back to the naturo doc and pay a ton of money for a powder when I know I can do it with food. I just need to know how. I just found Ali's food blog "The Whole Life Nutrition Kitchen" and LOVE IT! But what about the program? Well it's in their book of course! #2- I NEED recipes that my family will eat - I cannot overstate this!! This has been a major point of stress in the family. Who am I kidding, I know you know I'm not alone... my husband just wants food that tastes good to him and I have to cook from scratch. I'm not an amazing cook (yet) I'm learning and (slowly) improving but for the moment I could use a leg up. He told me just the other day I ought to quit trying to make gluten, soy, dairy, and cane-sugar free baked goods he'll love and I'm DETERMINED to prove him wrong! We are a student family with 2 little kids I'm trying to please - not deprive, but also to teach them to eat well and show them that most of the world doesn't revolve around glue bread and refined sugar if they happen to come up with sensitivities later in life, or live with someone who does. Me? I'm searching for that connection that comes with not just sharing food - but sharing enjoyment in the food I'm making for the ones I love. Thank you for your blog - all of your hard work... your non-cheese cheesy sauce is next in the line up... I'm hoping to bring mac and cheese back to my table. God bless. Glad I came upon your site thru another site as I have been looking for the best gluten free sites and I am very impressed with yours! Recently dx with T2 diabetes and have digestion issues. Would love to receive any one of these books to get started on eating better and more healthier. Thank you so much for always sharing yummy amazing recipes, great stories, and the link to Karen's book! The Chef shows you how to reduce.